At the heart of Project 1808 is a series of programs focused on supporting the education of students through high school and beyond. Through these programs we work to promote academic excellence with the community in mind. These programs help foster youth development by providing them a voice and high degree of agency through engagement in community service, community learning, and community project activities. In conjunction with our leadership and volunteer programs available our students and members of the community, we are working to create the next generation of learners, innovators, and leaders. At the core of 1808 programs is investment in youth through educational support programs to build youth and community capacity. We provide financial support for economically disadvantaged and motivated students in primary and secondary schools as well as the school for the blind. Project1808 supports students on a long-term basis, starting from class four (4th grade) through graduation from high school. This form of support is a distinct feature which distinguishes our program from the largely short-term scholarships provided by other organizations in the region and country at large. At present, 64 of the 200 Project1808 students are receiving full educational support (fees, uniforms, school supplies & after school tutoring and mentoring), and the rest are receiving partial support. This support will continue as students progress through to the university, vocational school or other skill-based adult learning activities. Through the support of donors and partners like you, we hope to be able to fully support all of our students financially and establish a sustainable source of income to support more disproportionately disadvantaged students from the community. Project 1808, Inc provides after school mentoring twice a week for students along with service learning programs using local teachers and staff. 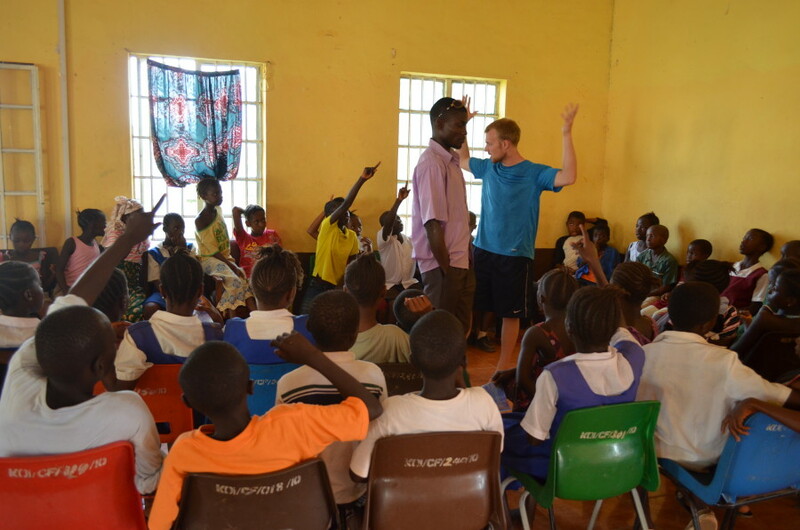 Our teachers/mentors are recruited from the primary and secondary school schools in the community. Supplementary classes enhance students scholastic aptitude and academic excellence, which is linked to Project 1808, Inc mission. The After school program provides a safe environment for students to learn and ask questions outside their school setting. After School Programs are held twice week, Friday and Saturday. Qualified teachers hired by Project 1808, Inc serve as mentors in the course syllabus areas. Students are provided a meal as part of a nutrition education program and to allow students to focus on learning. Mentors are encourage to do hands on instruction and student-centered learning. The 1808 Desk to Classroom program provides desks and benches to classrooms in various schools lacking basic furniture for students to seat on. Currently man of the schools in Kabala lack enough desk and furniture to accommodate all students resulting in negative impacts for student learning and overall quality of education. In an effort to help the schools of Kabala provide a quality education to all students, Project 1808 identifies schools in need and then works with local carpenters to make desks and benches using local materials. We’ve also put forth an effort to fix broken desks and benches, avoiding unnecessary waste by repairing instead of replacing furniture. Through our Little Libraries initiative, we provide free novels, magazines, and books to our students and the community. 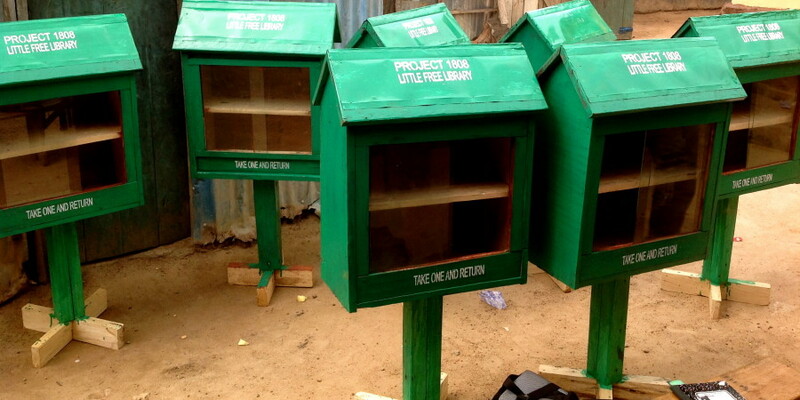 The libraries are installed in well-known locations in the community such as tea shops, marketplaces and police stations where community members are more likely to notice and utilize them. Through this project we are hoping to improve access to reading materials — including important textbooks and novels written by African authors — with the hopes of promoting literacy and interest in reading. We train our teachers in areas of leadership, effective teaching and mentorship, all in the context of Koinedugu district and Sierra Leone. We also provide computer literacy courses for our teachers as part of their professional development and as a means to expand their access to useful teaching materials and literature. We hope to soon expand these services to all Project1808 students. We provide tutors and mentors for students through selected volunteer teachers, community based organizations and partners. This opportunity allows students to learn relevant skills and acquire out of classroom knowledge about their communities vital for community participation and improvement. The tutoring component is vital and needed to improve student success rate in the national exams as Kabala currently has a very low passing percentage.